Few moths back we written an article about how to Install CyanogenMod ROM on Android With Windows Installer App (No Rooting). At that time CyanogenMod installers is not available for the MAC users, now CyanogenMod team released the new Mac Installer for the MAC user to install the ROM on Android devices. Best part of the installer is that you don’t have to root or unlock the boot-loader of your device. All you have to tun the installed on your MAC and instal an android app on your device and everything will take care about the installer. In simple word we can say that the the installer will help you to unlock the bootloader of your device and doesn’t require the root acess on your phone or tablet. Currently the installer is available for some device, you can check the list of compatible devices here. Today, in this guide we’ll show how you can use he installer on your MAC and install the latest CyanogenMod ROM on your Android smartphone. Before following this guide do take the backup of you phone, because this process will delete all the data and settings form your device. After installing the both application on your MAC and your android device, connect your android to MAC with the USB cable and run the installer on your MAC. Within a few seconds it will detect your device and after that follow the instructions on the screen. Now the installer will download all the important files for your device and ready for the installing process. Make sure that your device is fully charged and connected with your MAC. Hit the “Install” button for the installer app and wait for few minutes to install the the ROM on your android device. The whole process will take some time and the installer will let you know when it’s finished. 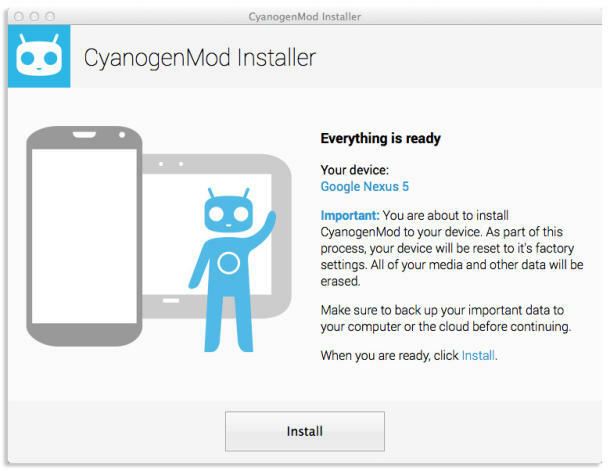 Now your device has the latest version of the CyanogenMod ROM. 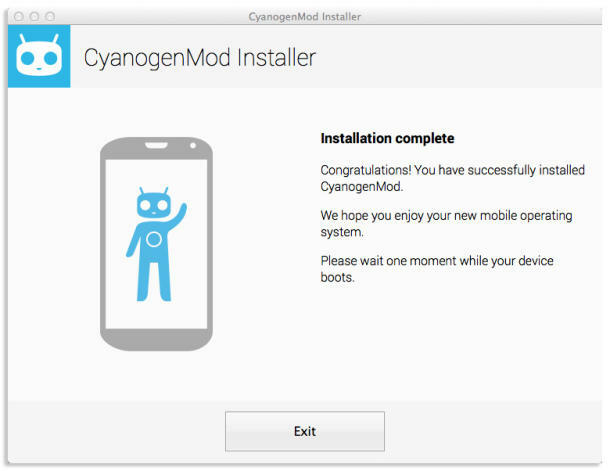 If you are facing some problem with the installer, do check the CyanogenMod support page here or their Google+ page here.